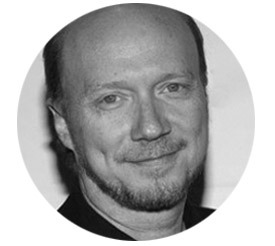 Paul Haggis is the award-winning filmmaker and screenwriter of two back to back Best Film Oscars: Million Dollar Baby directed by Clint Eastwood and Crash which he himself directed. For Crash, he won Academy Awards for Best Picture and Best Original Screenplay. The film also received an additional four nominations including one for Haggis’ direction. Crash reaped numerous awards during its year of release from associations such as the IFP Spirit Awards, the Screen Actors Guild, and BAFTA. Haggis’ other screenplays include Clint Eastwood’s productions of Flags of Our Fathers and Letters from Iwo Jima. The later earned him a further Oscar screenplay nomination. Haggis is equally committed to his private and social concerns. He is the founder of Artists for Peace and Justice. Under this umbrella, many of his friends in the film business have come forward to build schools and medical clinics serving the children of the slums of Haiti.